MTN Joyous Celebration has truly come of age as it celebrates 21 years and is without a doubt an established international brand. From South Africa to the USA, United Kingdom, Cameroon, Kenya, Zimbabwe, Botswana and Swaziland just to name a few, the production has endeared itself to millions both at home and abroad. 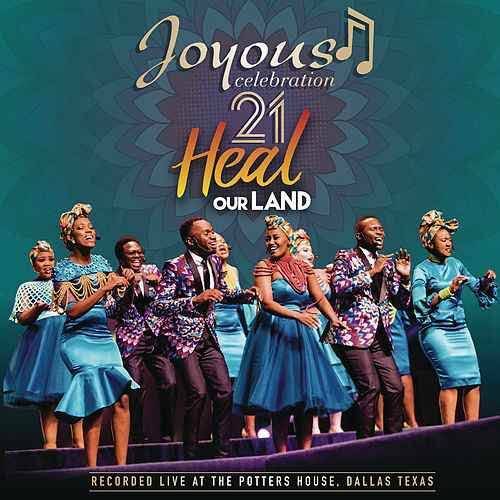 Presenting their 21st instalment, recorded live at the Potters House in Dallas, Texas and hosted by the phenomenal Bishop TD Jakes, their latest offering is rich in beautiful harmonies and melodies by those majestic voices that many have come to love and is both spiritual and prayerful encapsulating the album theme of “Heal our Land”.